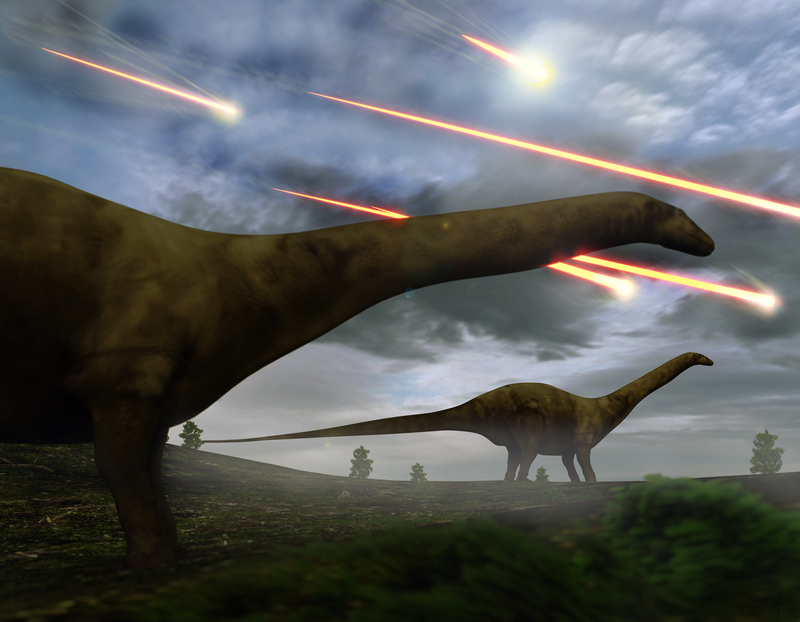 The Vision Mag: Financial Dinosaurs Face Extinction; Future Thinking Fiduciaries Flourish! Sixty-six million years ago, an asteroid the size of Manhattan struck Mexico’s Yucatan Peninsula. The impact blasted open a crater 110 miles wide, triggered a tsunami with 500-foot waves and shrouded the planet in dense clouds of acid rain. Within just a few centuries, apex predators like T-Rex and Velociraptor died out. Meanwhile, species of tiny marsupials managed to survive by burrowing beneath the earth. Over time, these survivors would evolve into ever-larger mammals—including, eons later, human beings. What does any of this have to do with modern financial planning, you ask? According to David Edwards, founder and CEO of Heron Wealth and a very big fan of this analogy, the answer can be summed up in two words: extinction and evolution. Edwards credits two events for sparking the current extinction. The first is the internet, whose democratizing effects have had a profound impact on everything from record companies and car dealers to financial institutions. In fact, according to the Financial Industry Regulatory Authority (FINRA), the number of traditional broker-dealers in the U.S. fell nearly 30 percent between 2003 and 2017, a trend spurred in large part by increased access to market analytics by average investors. The second event stemmed from the 2008 financial crisis, where high-profile fraudsters like Bernard Madoff—mastermind of an infamous $60 billion Ponzi scheme—destroyed the “presumption of trust” enjoyed between advisors and their clients for decades. In recognizing these events, the Obama administration attempted to extend the fiduciary standard, a decades-old law stating that registered investment advisors must act in the best interest of their clients—including traditional brokers who advise clients on their retirement savings. Although hard to believe, these brokers were not previously obliged to provide unconflicted advice. But while the administration’s successors have since moved to quash the policy, Edwards says the momentum is all but unstoppable. Edwards would know: Since 2012, Heron Wealth grew from $75 million under management to north of $375 million, making his firm one of the 50 fastest-growing wealth management firms in the country. Edwards says the firm’s success has as much to do with internal differentiators as macro-level trends. In particular, he points to Heron’s proactive approach to deploying technology to help clients better understand their financials—not only where they are, but where they’re going. Take the firm’s financial planning app. Licensed from eMoney, the tool gives clients 24/7 access to all of their financial data—including the valuation of bank and investment accounts, real estate holdings, mortgages, credit card balances, insurance policies, even art and jewelry. In addition, the app can tell clients exactly how close they are to reaching their personal financial goals, be it retirement savings or a child’s college education savings. Another critical tool is Heron’s portfolio management technology platform, provided by the Omaha, Nebraska-based Orion Advisor Services. Orion’s smart and scalable platform provides everything from advisory fee billing and client reporting to trading and rebalancing, giving both advisors and their clients the flexibility and freedom needed to manage their portfolios. According to Edwards, firms without at least $1 billion under management by 2025 will have a difficult time surviving—particularly as the costs of personnel, real estate, technology and compliance continue to rise. Heron is well on its way to hitting that mark, of course, but even Edwards admits that growing “from a savvy marsupial to a full-grown saber-toothed tiger,” will require more than just clever technology. If understanding the competition is half the battle, Edwards has more than a leg up in the race. Why? He used to be the competition. From 1988 to 1991, Edwards worked as a management consultant for Nomura Securities and JP Morgan Securities, building computer models to identify profitable trades. 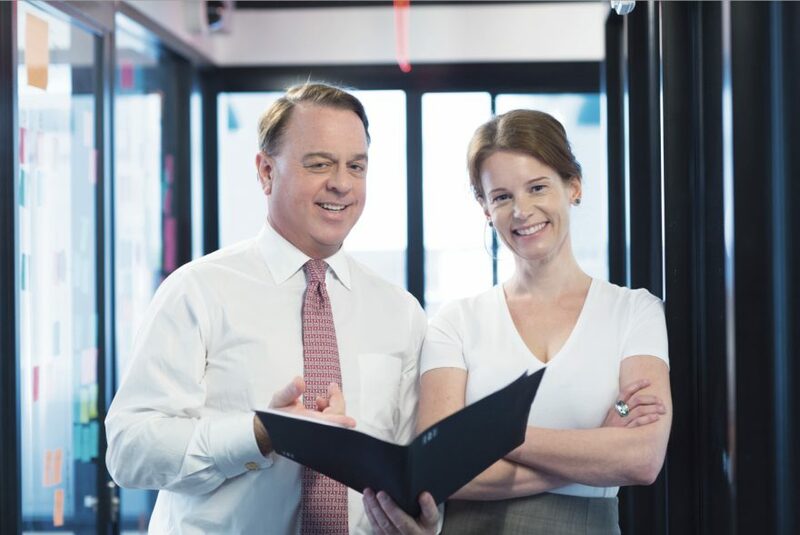 His passion rejuvenated, Edwards attended the University of Virginia’s Darden Graduate School of Business Administration, earning his MBA in 1993. Three months after graduating, Edwards moved back to New York to launch Heron Wealth, which initially focused on traditional stock picking. Despite a long-held belief that his chief priority was to outperform benchmarks, the questions he was getting from clients were far more future-focused. Is my portfolio right for my retirement? How should I pay for my child’s education? How can I buy the dream vacation home? In fact, after reviewing a 2006 client survey, Edwards discovered that, of the top ten reasons clients valued working with Heron, investment performance ranked only sixth. The No. 1 reason? Trust. Edwards’ firm evolved to adapt to the new environment, adding team members to upgrade Heron’s offering for financial planning, tax and estate planning. As investors became disenchanted with the offerings of traditional broker-dealers in the wake of the 2008 financial crisis, fiduciaries like Heron found ways to navigate the fallout, emphasizing relationship-building and macro-level expertise as a way of separating themselves from the pack. Read the article on The Vision Mag.